(CNS): The Cayman Islands Nursing Association (CINA) will be hosting its 8th Annual Nursing Conference from 7 to 10 May at the Marriott Beach Resort, as part of the activities surrounding Nurses Week 2013. The 2013 conference theme is “Embracing Diversity in Nursing Care: Achieving Successful Patient Outcomes”. Nurses, doctors and other healthcare practitioners will be educated on a number of topics such as The Gift of Diversity, Developing Cultural Competency, Sexuality and Gender Well-being, Dengue Fever and Teenage Suicide. The keynote speaker for the event is Dr. Audrey Gittens-Gilkes from St. Vincent and The Grenadines who will adhere closely to the theme by speaking on the topic of “Cultural Diversity in Nursing and Healthcare”. Dr. Gittens-Gilkes is ChiefNursing Officer and a 25 year veteran in nursing who graduated from the St. Vincent and the Grenadines School of Nursing. Other events surrounding the three-day conference include an opening cocktail reception on Tuesday, 7 May where the Eloise Reid Excellence in Nursing Award will be presented to a nurse who was nominated for an outstanding performance and service; a 5K fun run/walk that starts at 6.30am at Camana Bay on Saturday, 11 May and is open to the public; and a church service dedicated to the nursing profession at the Agape Family Worship Centre on Sunday, 12 May. The Cayman Islands National Nursing Conference is sponsored by Baptist Health International, Cayman Airways, Nueterra Global Alliance, Cayman National Bank, Cerner, Broward Health International, Dart and Generali Worldwide. International Nurses Day is celebrated around the world on 12 May each year. This year, Cayman’s nurses will hold their Nurses Week from Monday, 6 May to Sunday, 12 May. (CNS): Cayman Brac’s Faith Hospital celebrated its 40th anniversary last Sunday, 21st April. To mark the occasion, the Cayman Islands Health Services Authority (HSA) is organising a series of events throughout the year starting with a customer appreciation day on Monday 22nd April. There will also be a larger community celebration on Monday 1st July 2013. Faith Hospital is an 18-bed community hospital providing services to the Sister Islands, which include general medicine, internal medicine, surgery, anesthesia, obstetrics, gynecology and pediatrics. It also provides Renal Dialysis services and has a decompression chamber to treat divers. The land where the hospital is built was generously donated by the late Captain Charles Kirkconnell, a local icon. (CNS): Members of the Marine Conservation Board (MCB) have said that the recent change to the marine conservation law piggy-backed onto an amendment to protect stingrays is a retrograde step for conservation. The decision to undermine the board’s ability to act swiftly to protect the marine resources which don’t follow the timetable of politicians will “reduce the capacity to manage and preserve” those resources with a detrimental impact. While politicians found time to try and undermine the board’s efforts, the members said it was “truly unfortunate” that proposed amendments that would have given long term protection for the Nassau grouper “were not deemed worthy of consideration by the Legislative Assembly". Following the debate in the LA on the marine conservation law (just before the parliament was terminated ahead of the election) regarding the reduction of the board's time period and its powers, the MCB members set out their position in an open letter. It states that the use of the word “heritage” in reference to environmental concerns and “striking a balance” is rhetoric from politicians that have failed to really protect the marine environment. The MCB pointed out that there have been no changes to the marine conservation law except for this retrograde one since January 2002, and noattempts have been made by legislators to positively benefit the country’s increasingly stressed natural resources. In the letter (posted below) the board members said they were pleased that the topic of the environment was being discussed during the election campaign and hoped it would finally get the attention that is urgently needed. The Marine Conservation Board stressed that it could not amend the marine conservation law and regulations and pointed out that, contrary to what the politicians were implying, the law can only be made by the legislature. Since 1978, the law has required that the decisions of the board be put into effect by directives which must be gazetted. In January 2002, however, the legislature passed an amendment empowering the board to change or suspend activities within the designated grouper spawning areas. This came in the wake of the public outcry regarding the wanton destruction of over half of the last healthy spawning aggregation of Nassau grouper within the two brief spawning seasons of 2001 and 2002, when approximately 4,000 grouper were taken in around 20 days. The MCB took the initiative in gazetting the eight year ban on grouper fishing to protect what was left of Cayman’s spawning grouper population. After several failed attempts by the board to get government to address the issue last year when the expiry of that ban approached, the board eventually implemented a second consecutive eight year ban. The board also defended its position on spear guns, which are illegal in order to protect the precious threatened marine resources. See letter in full below. (CNS): The United Democratic Party will be launching its national campaign in the capital on Wednesday evening with all twelve candidates running for office in Grand Cayman on the hustings. The UDP is one of only two parties running in the May General Election with enough people to form a government on its own without the assistance of another group. The party, still led by former premier McKeeva Bush, who is due to appear in Grand Court on Friday in connection with charges of theft and corruption, is focusing on West Bay, Bodden Town and George Town and hoping that, despite its recent struggles, there are enough independent candidates to split the vote against the UDP and allow the party to return to power. The UDP will also be unveiling its 2013 manifesto at the national campaign meeting, which is setfor 7:30pm at AL Thompson's parking lLot in George Town. Bush is fielding six candidates in the capital, led by Mike Adam, who took more than 46% of the vote when the UDP swept to victory in 2009. However, the party is facing a tougher battle this time around, given the criminal charges pending over the leader, the party split following the successful no confidence motion in the previous government, as well as serious concerns about poor governance during the UDP administration. Budget struggles, a failure to get the cruise berthing facility started in the capital and a continued sluggish economy plagued with high taxes over the last four years will make the party’s re-election an uphill struggle. Nevertheless, with five Coalition for Cayman candidates and four independents in George Town, the United Democratic Party will be hoping that the split in the vote will deliver in its favour. Unlike the PPM, the UDP is only running two candidates in Bodden Town but it will again be depending on a split between the independents there to reduce the PPM vote sufficiently and allow its candidates to sneak in. In addition, the party may still be hopeful that if either of the former UDP members now running on the PNA ticket (Mark Scotland and Dwayne Seymour) were returned to the LA, they would support a UDP administration. Meanwhile, in West Bay the continued popularity of McKeeva Bush as well as Bernie Bush’s own strong following in the district could still be enough to carry Eugene Ebanks and Velma Hewitt as well. While the UDP vote will be split by Bush's two former long-term running mates, Rolston Anglin and Cline Glidden, now also on the PNA ticket, the four independent candidates may split the PPM vote on Bush’s home turf, giving his party the advantage. Although the UDP has no candidates running on the Sister Islands or the eastern districts, Bush will be relying on his long term friendship with Juliana O’Connor-Connolly, the current premier, to at least lend her support to a new UDP government even if she does not formally return to the party. Likewise, Bush’s very public support for John McLean indicates the party leader’s confidence that, should the younger of the two McLeans win in East End, Bush could count on his support. Although Joey Ebanks has an uphill struggle against the North Side incumbent Ezzard Miller, should his ‘shock-jock’ tactics turn the tide of that district, Bush will also be counting on Ebanks to support a UDP majority. With ten men and two women on the UDP party docket and hopeful of support from independents and at least some of the PNA, Bush is a long way from throwing in the political towel. Despite the obvious and very real problems he currently faces, the political veteran is expected to deliver a vintage performance. CNS): Mario Galea, a member of parliament in Malta since 1992 who has served several times on election observer missions, will be leading the team set to come to the Cayman Islands shortly before the 22 May Election Day. Officials from the governor’s office said Tuesday that the team is likely to include up to ten experienced individuals from Commonwealth countries in the Mediterranean and Caribbean regions. The office also confirmed that the FCO will be footing the bill for the mission. 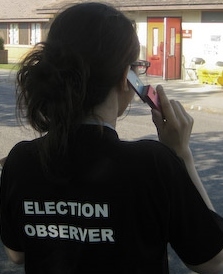 The overseas territories minister, Mark Simmonds, said he was encouraged by the Cayman government’s readiness to invite election observers. “It is good practice for mature democracies to invite observers and an opportunity to demonstrate that election processes are robust, free and fair,” he said. The governor’s office, in consultation with the election supervisor, will now agree a Memorandum of Understanding with the British Isles and Mediterranean Region (BIMR) of the Commonwealth Parliamentary Association, which has organized the mission, on the operation of the observers in line with standard international practice, which officials said would be made public as soon as it has been agreed. The elected arm of government agreed to the mission following a request by the OT minister, which was supported by a majority of the members of the Legislative Assembly when they defeated a motion brought by the former premier. McKeeva Bush said the arrival of the observers would undermine Cayman’s standing on the international stage as, despite the country’s election record, this would give the impression of impropriety at the polls. However, the motion was rejected by the House and was supported only by his three UDP parliamentary colleagues. With the support of the majority of elected officials, the governor issued the formal letter of invitation to the Commonwealth Parliamentary Association (CPA) requesting that they organise the team. Andrew Tuggey, Secretary to the CPA BIMR, confirmed that the BMIR will provide the mission, in partnership with the Electoral Reform International Services (ERIS), a not-for-profit organisation which provides support and advice on democratic processes around the world, and with the Association of Caribbean Electoral Organisations (ACEO). 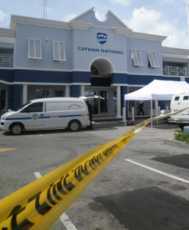 (CNS): The crown’s key witness and co-conspirator in the Cayman National Bank robbery last June appeared in Grand Court last week and told a 12 person jury how he and the five men currently on trial for the daylight heist pulled off the crime. Marlon Hudson Dillon explained that he had pleaded guilty and confessed to the crime because he felt betrayed by his friends, who had used his car as a getaway vehicle, which led to his arrest. He expressed genuine remorse and said he had cooperated with the RCIPS because he knew that what he did was wrong when he and the five accused held up the bank and stole over $500,000. Dillon is a protected witness and the crown’s principal source of evidence against the five defendants, who have all denied being part of the robbery. He told the court that a female bank manager at the CNB branch in 2011 had initially asked Ryan Edwards, one of the defendants, to commit the robbery because she had wanted to buy a house. Although the police arrested a female employee following the daylight robbery, she was never charged with any crime. Dillon said, however, that it was with her help that Edwards had organized the heist, along with co-accused David Tamassa. Dillon said he knew four of the five defendants and had spent a considerable amount of time with them at Tamassa's house and other places. While giving his evidence, Dillon revealed that the robbers were unable to execute the heist in 2011 because Edwards had asked a CNB security guard what he thought about robbing the bank. Hearing this, Tamassa became enraged, telling Edwards that his actions were unnecessary and foolish because everything was organized with the female bank manager. As the guard had most likely told his boss, it would not be very intelligent of them to carry on with the plans. In the days leading up to what turned out to be the rescheduled robbery, Dillon received many phone calls from his friend Andre Burton, another one of the defendants, as well as Tamassa, asking him to meet them. But on the Tuesday before the robbery he had been at work and refused to answer any calls. Then the next day, which was the day before the robbery, he took his wife out as it was their day off from work. At around 8 o'clock on Thursday 28 June, Dillon said he got out of bed and went to visit his friends who were still trying to contact him. "I was worried because David kept trying to get me out of my yard," he told the court. When he arrived at Tamassa's home, he said, George Mignot, another co-defendant, was there and the men said that they were going to commit the Cayman National Bank robbery that day. Dillon explained that Tamassa had given Burton the role of getaway driver in a white Honda Civic, which would meet the robbers behind Grand Pavilion after the heist. George Mignot along with Dillon would enter the bank with Ryan Edwards and commit the robbery. "He told me not to worry about anything and that everything was already organized," Dillon said. As he gave his evidence to the court, Dillon said he and Mignot left Tamassa’s house in West Bay to pick up Burton from South Sound. They then drove to Safe Haven Drive, where Dillon saw a man parked in a white panel van, who he learned was Rennie Cole, the fifth man now on trial, along with Edwards, who was in the driver’s seat of a white Toyota Windham. Dillon told the court that he had never met or seen Cole before that day but was made to understand that he would be the "bait" and distract the security guard while he, Edwards and Mignot ran into the bank. "Me and George got out of my Chevrolet Equinox and I left my key in the ignition and Andre in my passenger seat," he said, explaining that they then got into the Windham. The jury also heard that whilst at Safe Haven Drive, Edwards told the men that he had spoken to the female bank manager who was helping them and she had given him directions into the vault as well as pressured him to hurry up because she could not delay the armoured truck due to transport the vault money to the main branch at Elgin Avenue. Dillon told the court that he was uncomfortable with doing the robbery and asked Edwards to call it off as they drove to the Buckingham Square branch. "He told me I have to do the robbery because I know the plans for robbing the bank and if I don't do it I would be able to snitch," Dillon told the court. He said that it was at that point he knew he was about to be involved and was in fear of his life because Mignot was sitting next to him with what was reported to be Tamassa’s shotgun in his lap. Edwards had a handgun nearby, which Dillon identified as belonging to Tamassa's friend, and Dillon told the crown counsel that he could not see a way out of it. Dillon also admitted that he had not gone equipped for a robbery and that Edwards had provided him with construction gear, including a dust mask to cover his face, as his fellow robbers had done. He added that they followed behind Cole in the white panel van the entire way up to the bank. The plan on arrival was to run into the bank as soon as Cole had walked in as the bait, Dillon revealed. At some time after 9am they arrived and Mignot ran in behind Cole and commanded the customers, staff and security guard to lay on the ground while Dillon got money from the tellers and Edwards jumped over the counters and robbed the vault. The court heard that Edwards had become stuck behind a door when he was trying to get back into the customer lobby and Mignot was telling them to hurry because the guards were calling out. In his evidence, Dillon said that he took Edwards' overflowing money bag along with his own and began to flee from the bank with his friends, only to be blocked by the delayed armoured truck driver. The men then fled the scene on foot along the Esterly Tibbetts Highway to meet with the getaway driver that should have been in the white Honda Civic, only to find Dillon's registered red Chevrolet Equinox. Dillon said it was then that he dropped the bag of cash and asked what was going on but Edwards placed a gun to his chest and told him, "Let's go!" the witness said. "My heart comes to my mouth when I saw my Chevy Equinox was used as the getaway car," Dillon told the court, adding that he felt betrayed. He believed his friend was truly going to shoot him that morning and was in fear of his life. The men drove to Burton's home with the guns and the money and Dillon left his co-conspirators before he went to his own home, where he changed his clothes, hid US$100,000 in a drawstring bag along with Mignot's baseball cap, and then hid himself in his neighbour's shed out of fear. Dillon then revealed that he had received a call from Tamassa instructing him to tell the police he'd been abducted if he was caught. When he was arrested, Dillon followed the plan and told the police that four men had abducted him and threatened to kill him but after further interviews he admitted his involvement in the robbery and eventually pleaded guilty to the crime. As a crown witness Dillon has remained in protective custody and is expected to be sentenced after the on-going trial, which continues in Grand Court one. (CNS): With just five weeks to go before the election, the campaign trail is heating up and candidates are looking ahead to 23 May when, if elected, the people will be expectingthem to fulfil their campaign trail promises. Dwene Ebanks, who is running on his own platform in West Bay, said that that one of the main policy issues he hopes to address is getting the next government back to the drawing board with Dart over the closure of the West Bay Road, which he said should not have happened or even been a consideration in the ForCayman Investment Alliance in the first place. Ebanks said the closure has had a huge negative impact on West Bayers and their sense of ownership. “I believe it will negatively skew the way they view development going forward. This may not be what the Dart team wanted and certainly is not well for future governments, unless we try and make right this injustice by reconsidering this part of the deal,” he said, adding that if he is part of a coalition government he will be pushing for and support efforts to return to the negotiation table with the view of re-opening that portion of the road. If he is on the back benches, he said, he will be agitating for the same. Even on the government back bench or the opposition benches MLAs can use private members motions to persuade the government of the day to take up a cause or policy, and Ebanks said he hoped to use that opportunity to persuade government to consider reducing fuel duty. Unemployment in West Bay is also a high priority for Ebanks, a former civil servant at the department of commerce. He said he believes there at least 300 jobs within the district of West Bay currently occupied by work permits holders that could be filled by West Bayers. If the district had its own labour officer, the skills and qualifications of the unemployed could be more easily matched to district jobs. “Some candidates in this election seem to think that West Bayers would rather go to the Social Services for assistance and would prefer that to taking on a low paying job but I stand up for all West Bayers and say that West Bayers, like all Caymanians, would rather have a job, any legitimate job, rather than having to beg bread,” he said. As a lone man alone in the election race where the electorate has four votes, Ebanks said that he won’t be offering any recommendations to West Bayers about what they should do with their remaining three votes but he is hoping that he will be part of a coalition made up of independents looking to recruit party members to form the government rather than the other way around. Therefore, when asked by CNS, Ebanks has refused to commit to any other party or group or say who he would back as premier if he is one of the 18 candidates returned on 23 May. Guarding his independent position because of what he said was the failure of the current leaders’ disjointed political “machineries” and their failure to look out for the best interests of the people, Ebanks said he intends to serve the people of West Bay and not a party. (CNS): Efforts by government to keep secret how much was paid to performers for particular events hosted by the Department of Tourism have been thwarted by the information commissioner in her 29th decision. Jennifer Dilbert has ruled that the amount artists are paid and the total cost of promotional events paid for by the public purse are not exempt under the law and has ordered the department to disclose the fees paid to artists, which were redacted in a partial release to an FOI request. Dilbert states in her ruling that the public interest arguments in favour of disclosure were very strong because all the redacted information pertains to government expenditure andDoT’s accountability in respect of compensating performing artists fairly and equitably. Having found that the government agency needed to reveal the information, the commissioner also points to concerns she had about the quality of the department’s record keeping and what the DoT gave to the applicant in response to the request. She points out that the FOI Law explicitly grants the right to access all records, which mean that applicants have the right to request the original or existing records on which any summary was based. (CNS): With the election just weeks away, audiences attending this year’s Rundown performances will be laughing out loud, says Henry Muttoo, the CNCF director and writer of the annual comedy review. After some 21 years of making Caymanians chortle, this year’s comedy hot pot is expected to be particularly potent, with the poll as an added ingredient. With a selection of new characters and sketches, aswell as some returns, such as Ital the Rasta and Talk-Across, Muttoo said that he’s keeping the new stuff under wraps so audiences can enjoy the tasty surprise when the show opens this weekend. This year’s cast includes the usual "Rundown clowns": Michael McLaughlin, Leroy Holness, Priscilla Pouchie, Giselle Webb, Leron Lawrence, and the relatively new "Rundown jokers": Jacoline Frank, Vijay Singhera, Judy Singh, Curtis Mason, Matt Brown and Juliet Garricks. “All of these actors are very talented and many of them are quite experienced, so we are looking forward to giving our audiences a terrific and funny show,” said Muttoo. Rundown was created by singer, songwriter, author and former CNCF Chairman, Dave Martins, who wrote every show until 2008. The first show was staged at the Harquail Theatre in 1991 and has returned each year ever since. Although Muttoo now writes the show, he has directed it since its inception. 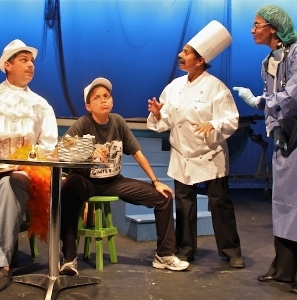 The satirical, musical review is a comic interpretation of what goes on in Cayman. Named for the local dish that has a little bit of everything in it, Rundown is a smorgasbord of nationalities, headlines, catchy tunes and hot topics that have kept Cayman's audiences coming back for second and third helpings for more than two decades. The show opens on Thursday 25 April at the Harquail Theatre and runs for 12 performances over the weekends until 12 May. Tickets are available from Funky Tangs, fosters and at the CNCF offices. For more information call 949 5477 and see flyer below. (CNS): Autistic youth in the Cayman Islands have received $5,500 from local donors, which will fund the ASD (Autism Spectrum Disorder) class, an autism intervention programme which was started in 2012. The donors were Caymanian business conglomerate DMS, Dart Realty and individual donor, Taron Jackman. The ASD is the first of its kind in the Cayman Islands, and was developed to meet the unique needs of a group of elementary-aged students on the autism spectrum, engaging them in a variety of educational and therapeutic activities that collectively serve to promote individual achievements. There are currently six students enrolled in the pilot program at the Lighthouse School, between the ages of five and eight. Students have been exposed to various educational & animal-assisted therapeutic programmes that have collectively contributed to improving their social and cognitive skills. Taron Jackman (Partner, Deloitte & Touche) agrees, "When autism is isolated, diagnosed and measures are taken to provide the needed and regulated combination of structure, stimuli and education, these kids grow into happy, healthy, gifted and important members of society. Their brilliance knows no boundaries." "Dart has always been committed to fostering education and youth programs and we recognise the crucial role that the Lighthouse School plays in our community,” added Ken Hydes, VP Place Management & Experiences, Dart Realty. “Having supported local autism awareness campaigns, we appreciate the need for additional resources and we are pleased to be able to sponsor this innovative program,” he added.